February is typically when Minnesota farmers call on their banks for loans to get them from spring planting to the fall harvest. Even in the best of times, those conversations can be a little uncomfortable. This year, they could be gut-churning. A global trade war together with years of low crop prices is cultivating worries of financial hardship in farm country. After several years of bad crop prices, many farmers have used up the money saved in good times and now, many can't pay off existing debt — yet must still take on more debt to get a crop in the ground. "There's going to be a lot of restructuring for this year," said Betsy Jensen, who farms with her husband and father-in-law near the town of Stephen in northwestern Minnesota. "Restructuring of debt — maybe you're almost done paying off your land note and now you're gonna ramp it back up again create another note against your land." Jensen's already sent her projections and analysis to her lender and believes she'll be fine. 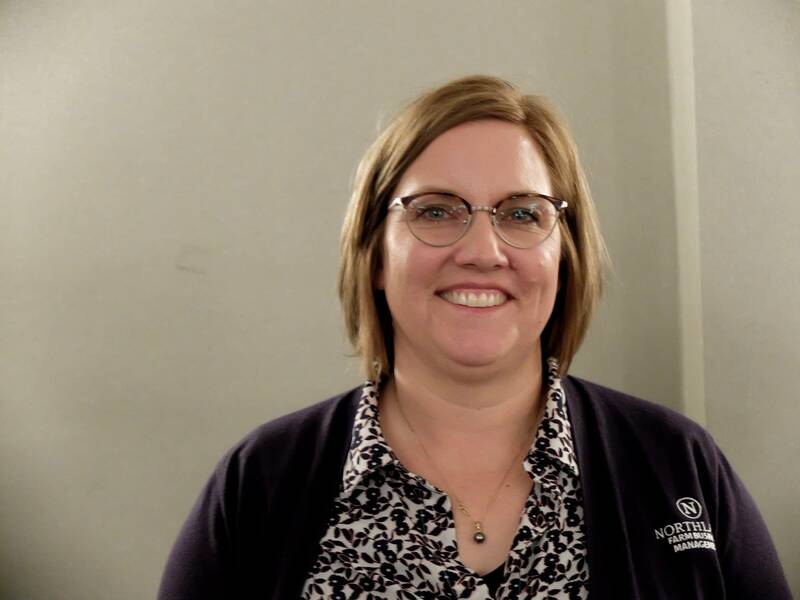 But she also advises area farmers and teaches farm management at Northland Community and Technical College in East Grand Forks, Minn., and she knows some farmers may be in trouble with their bankers. • Share your thoughts: What is your biggest financial challenge as a farmer? Most growers, she said, are great at the production side of agriculture, but too often let the financial planning slide. "You have to sell your farm to your banker, you have to convince them to do business with you for another year," she said. "A lot of people rely on the bankers to be their advisors and I don't think that's the right thing to do. You need to have a plan of your own and a plan that you can commit to." The stress is real for farmers and lenders. 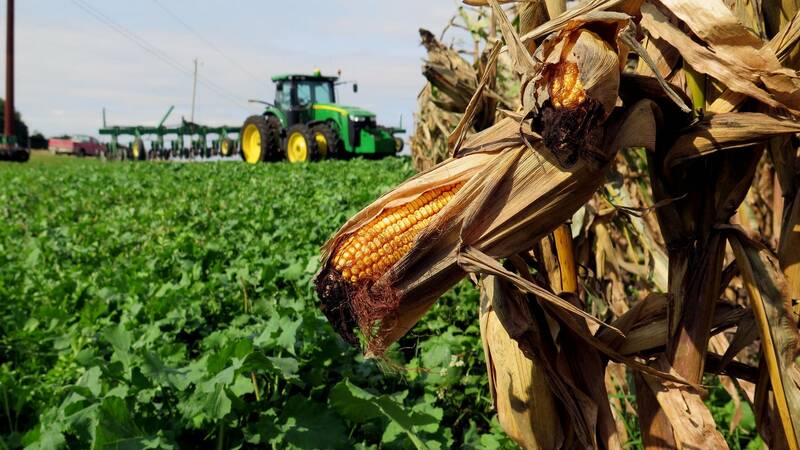 Poor prices and trade woes "dealt a financial blow to farmers from July through September," the Federal Reserve Bank of Minneapolis reported in its third-quarter survey of farm credit conditions. The survey also found lenders generally expected farm incomes to keep falling through the end of 2018. Some growers were already struggling before 2018. Research by the University of Minnesota has concluded that 2015 through 2017 were the worst three years in a row for farm earnings out of the 21 years the university had been tracking farm finances. The Jensen farm raises a half-dozen different crops, which helps spread their financial risk. 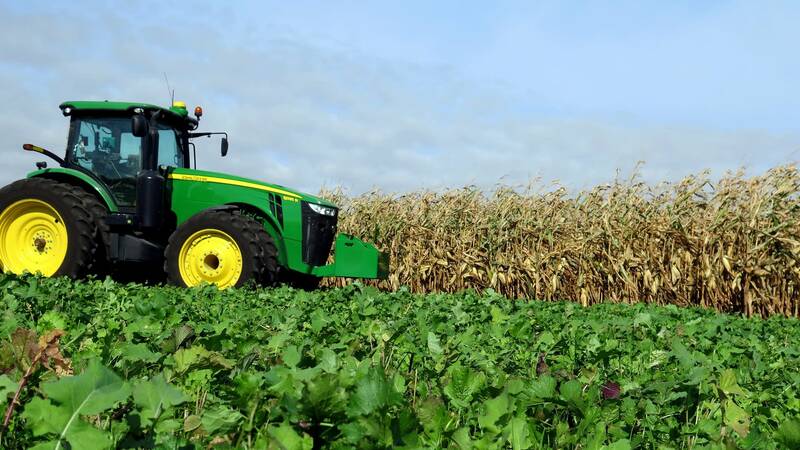 If soybean prices are bad, sugar beets or wheat might be profitable. Jensen analyzed expenses for the last five years to predict what to budget this year. She's factored in fertilizer and fuel prices, which are already locked in under contract. She calculated potential crop yield and what the federal government suggests farmers use as a target price for this year's crop. • U.S. Rep. Peterson: New farm bill preserves status quo, but will it help farmers enough? And she left hope out of the equation. It's all in the numbers. "I feel like the plan I create is pretty darn accurate," said Jensen. "Farming is always risky. If you can't handle the risk, you shouldn't be farming, but I feel pretty safe in the numbers that I've put on paper." What's the outlook for 2019 on the Jensen farm? "It seems like it's going to be OK. No one is going to make a lot of money in 2019 unfortunately, but we are hoping to squeak by. I guess it's going to be a year to tighten the belt," said Jensen. At the same time, land values are still relatively strong, which makes cash-poor farmers look wealthy on paper. "The average net worth of our database of farms is like $1.4 million. I mean they have good debt worth, but it's land. Well, land has never paid a bill," said Jensen. Farmers can sell some of their land to pay off debt, but Jensen often sees farmers reject that option because they have a strong emotional connection to the land that will make them do almost anything to hang on to it. When she's advising farmers on navigating their finances, Jensen can see when the numbers are not going to work out. "I struggle because I want them to believe that it's just a job, and it's not, I get it," said Jensen. "But there is life after farming and a lot of them don't see that. If it's something you love, it's hard to quit it, and so farmers, I think, are making emotional decisions more than they're making data decisions." Financial decisions based on emotion are often bad decisions that lead to more debt — or even bankruptcy. In the 1980s, crushing farm debt and falling land prices forced many farmers out of business. It was the worst time in farm country since the great depression of the 1930s. Some worry about a repeat. "The farm economy is safer than it was in the 80s. Now that doesn't mean that everyone's going to survive, but I don't think there's going to be the huge crisis like we saw in the 80s," said Jensen, who admits that despite depending on data to manage the farm, she's holding out hope that 2019 will bring better crop prices. Farmers: What is your biggest financial challenge?